Hi friends! I hope you are enjoying all the giveaways! Please tell your friends! The more people I can get entering these giveaways, the more I can run giveaways. 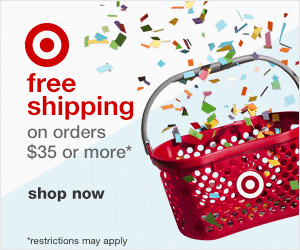 This giveaway is SO fun! 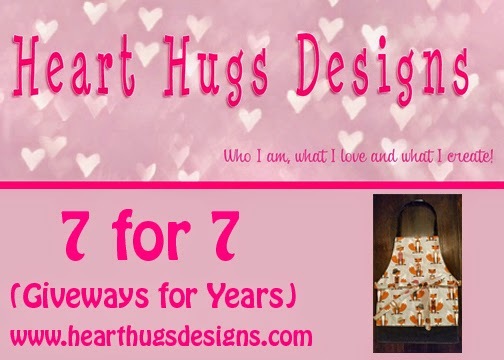 My sister in law just opened an Etsy shop called Not Your Mothers Apron Strings. 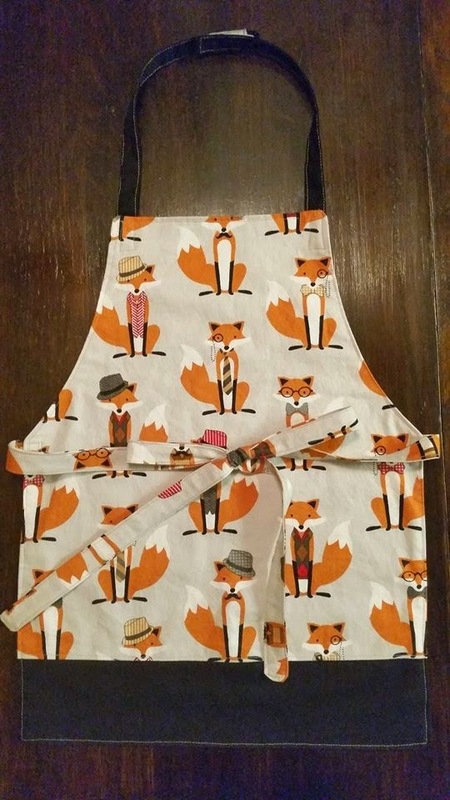 She makes all different kinds of aprons. 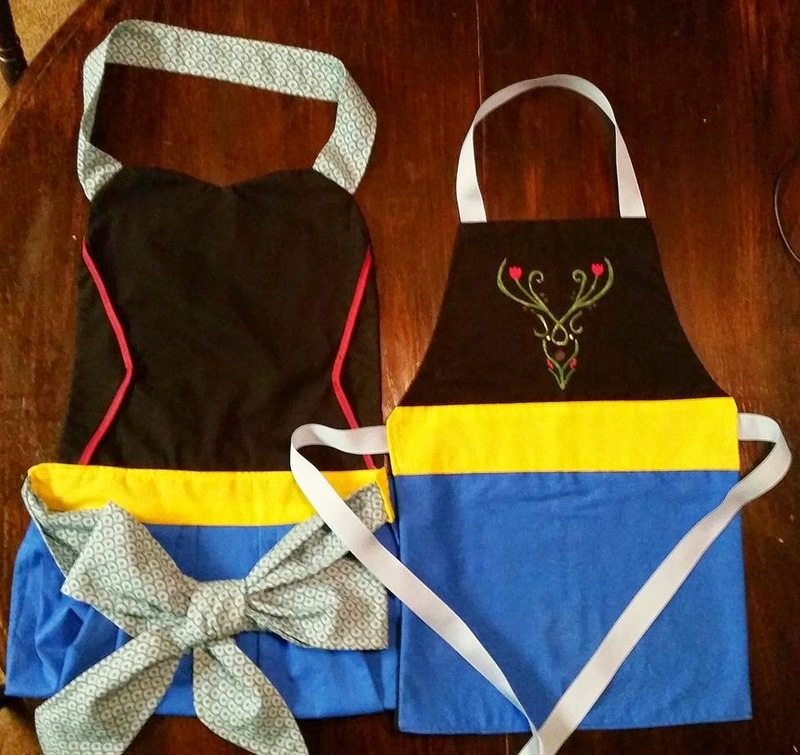 She's made half aprons for servers or gardening, kid aprons, and matching mother daughter aprons. Her designs are so cute! She can also do custom orders. She actually made the cutest coordinating mother/daughter aprons for me to give to my other sister in law as a gift. I am so happy with my order! Here are the pictures of my special order with my handy dandy helper model. This is such a cute etsy idea! Love the Disney themed ones. These are adorable! I have a feeling this will be an item of contention in our home....both girls will want it!